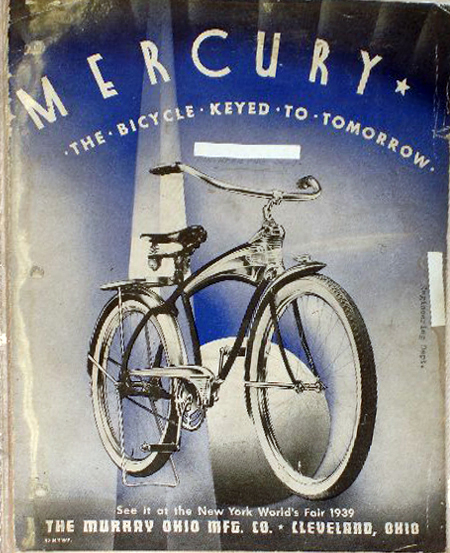 Designed by Viktor Schreckengost, Murray’s chief designer, the streamlined 1939 Murray Mercury bicycle was launched to much acclaim at the 1939 New York World’s Fair. 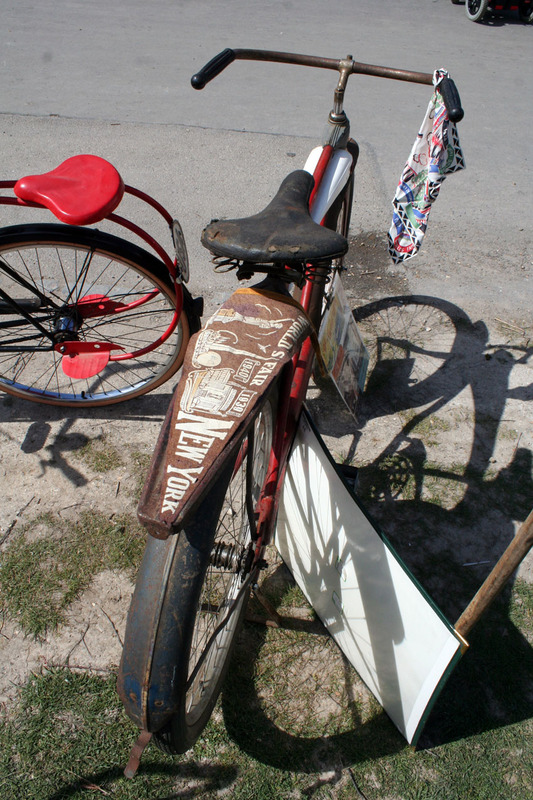 It became the 1939 New York Worlds Fair’s ‘official bicycle’ and several were on display in the MAN Building at the Fair. The previous model of Mercury had been designed by the equally renowned designer Count Alexis de Sakhnoffsky. (You can compare his 1937 Mercury with the 1939 Schreckengost Mercury further down the page). It featured a headlight pod above the handlebars that was a radical design statement. When Viktor took over styling duties in 1938 for the new model, there was obviously some pressure on him to go one better …and to create a new radical headlight feature. The Mercury World’s Fair Pacemaker bicycle is rare and sought-after these days, but the velocipede tricycle featured here, which mirrors the design of the bicycle, is even harder to find. Compare the 1937 Sakhnoffsky, above, with the Schreckengost (1941) Mercury below. Steelcraft advertised three models in their 1941 catalogue: the Flash, finished in blue enamel with red trim and white striping ($6.96); the Streak ($5.24) in green and white enamel; and the more luxurious Streamliner painted black with orange and white trim.